Today's recipe came out of necessity. I needed to clean out the refrigerator. I had some leftover rice that needed to be used up. So this is what I came up with. Taste great! I think you will like it to. Heat oil in a large pan over medium high heat. Season chicken with salt and pepper. Place chicken in the pan and cook until no longer pink. 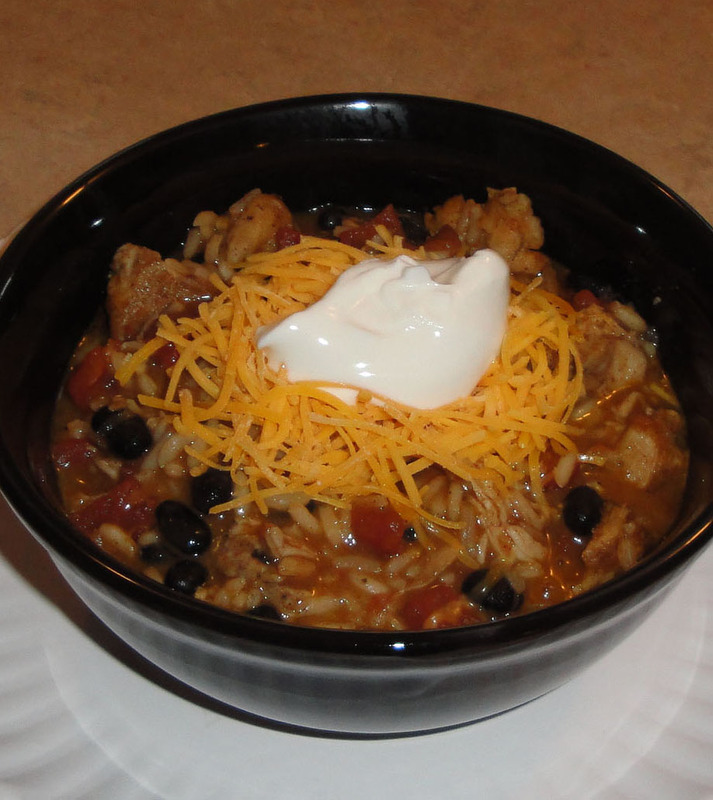 Once chicken is cooked, turn heat to simmer, add cream of chicken soup, black beans, ro-tel*, taco seasoning and cooked rice. Stir. Heat through. For the top, add cheese and sour cream, if desired. Enjoy! Ahh yes, gotta love the "necessity" dishes. Sometimes they turn out better than anything! 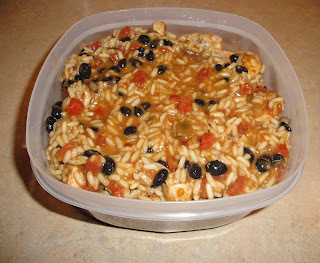 Great way to use up leftover rice...I love Mexican flavors. What a fun way to make use of that exta rice. Great recipe. I'm all over this one Christine. Yummy all the way around.